When I am bored of what I have been cooking, this is one of my favorite refresh meals. It jump starts my cooking creativity and reminds me that I love to cook good food. 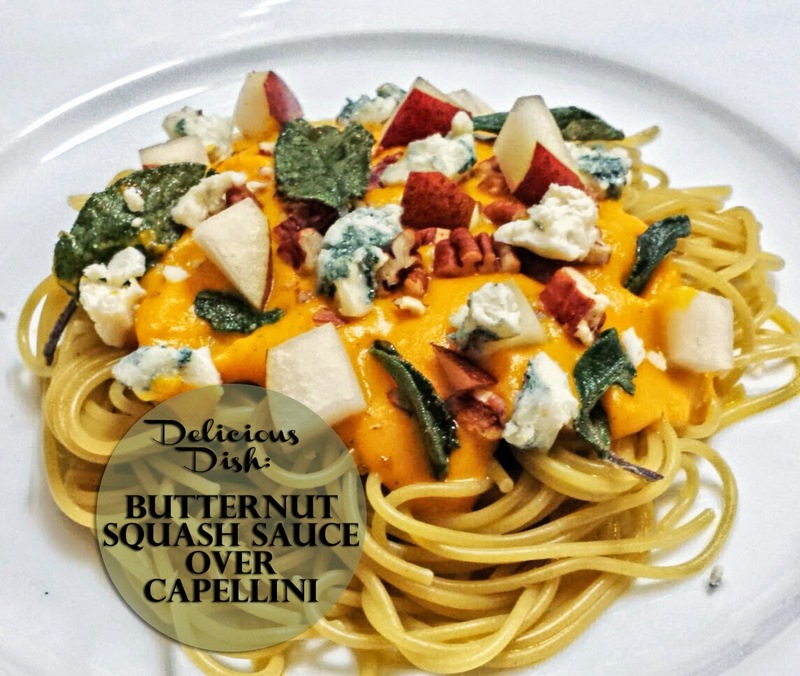 This combination of sauce and garnishes has many nice rich flavors. Serve this dish twice by preparing the sauce once and then freezing half and have it ready for an easy meal the next week, or you might just want it two nights in a row like I do. To send this dish over the top or for those meat-lovers that need it in every dish - add mild Italian sausage. Preheat the oven to 350 degrees. 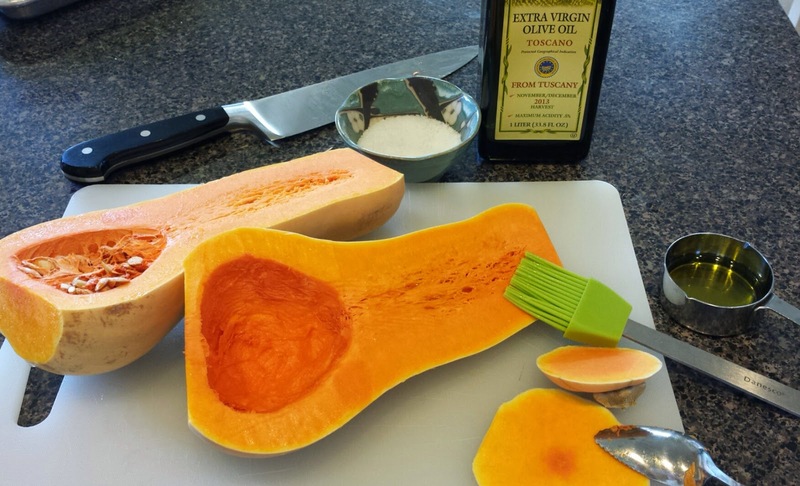 Slice the butternut squash lengthwise, remove the seeds and brush with olive oil and then lightly salt. Place them skin side up on a cookie sheet. Peel carrots, then brush each with olive oil and place on the pan. Roast these in the oven for 45-50 minutes. Check them halfway through and turn everything over. Prick with a fork, when it comes out easily, they are done. While they are roasting, saute the onion, celery and garlic in olive oil, then set aside (these can be roasted in the oven instead, leave the garlic whole and put the onion in quarters then just take them out a bit sooner). When everything is done roasting, peel the skin off the squash and puree all of the vegetables along with the chicken broth. 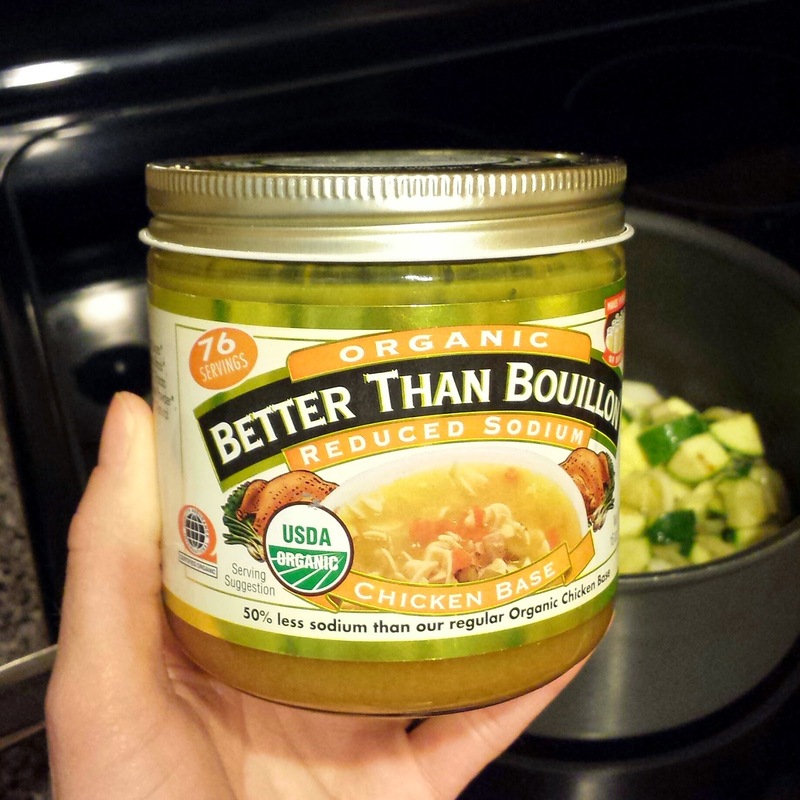 Better than Bouillon is my favorite broth. I use a Blendtec or Cuisinart to do this. Pour all of the sauce mixture in a pan, taste and season with salt as needed. Add the cream and keep it warm on low till you are ready to serve. Add more broth if it seems too thick, every squash has a different moisture content. Or if you prefer more cream, add more. You can really tailor the sauce to your liking by adjusting the broth, salt or cream. While the veggies are roasting, prep the garnishes. 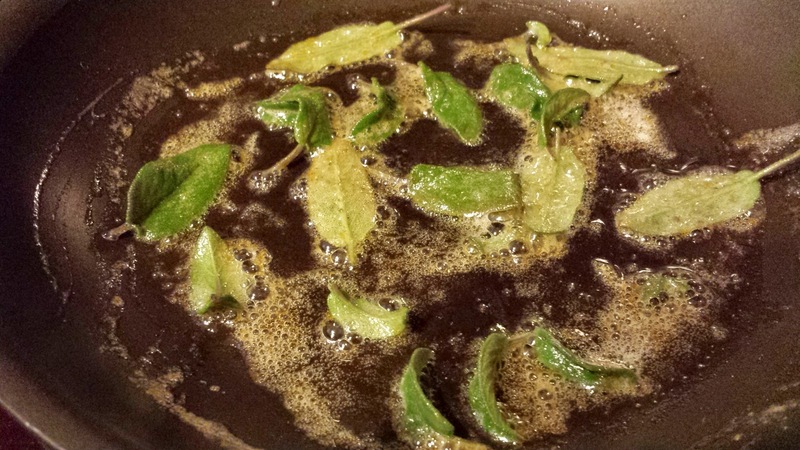 Candy the sage leaves by sauteing them in butter and brown sugar on medium high. They will turn a darker color and start to crisp up a bit, pull them off and set them aside to cool on a paper towel to absorb excess butter. Chop the pecans, crumble the blue cheese, dice the pears and keep them separate. I typically leave the garnishes in the middle of the table to allow each guest to decide which ones and how much of each. 10 minutes before you are ready to eat, boil the water and cook the pasta. Angel Hair is great because it cooks in about 5 minutes. Voila! Your taste buds will be wowed!